You’ve probably heard the word music production, but do you know what that means? 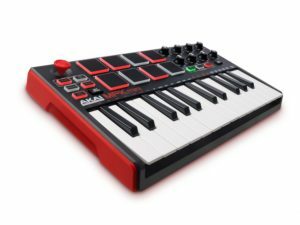 What’s a music producer do? The truth is, there isn’t much they don’t do. A producer is responsible for arranging, writing, producing, and recording songs. Producers can do this for their songs, or do it for others. Sounds exciting, right? It is. 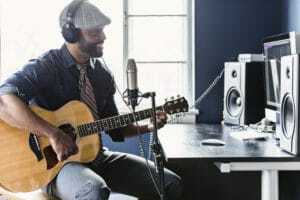 Even better, technology has simplified the process, so know more people can make their own songs. Everyone from artists to high school band directors are taking a stab at music producing. 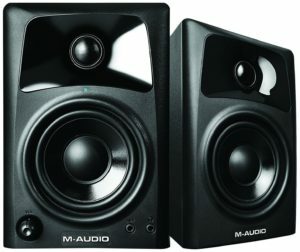 Have you always dreamed of getting into music production? Do you know what it takes to be a successful producer? If you love and respect music, it’s a great hobby or career choice. But, if you’re only interested in hitting the studio to become famous, you’ll be disappointed. Being a music producer isn’t all about money, prestige, and glamor. In fact, it’s a slow path and requires lots of practice and dedication to be successful. Contrary to what you believe, a music producer isn’t merely the person that “makes the beats.” It’s much more complicated than that. Below, we’ll give you a general overview of what it takes to become a music producer and information about the industry. First, let’s start out with how to set up a studio. If you want to become a producer, you need a studio. You could probably rent some time in a local studio, but that is extremely expensive and doesn’t give you much time to learn. But, why rent studio space when you can create a studio in your home for a fraction of the cost. Some of the best producers in the business started producing hits in their spare bedroom. The first thing you need to do when choosing a home studio is to choose a quiet room in your home. A carpeted room works best. If the room is windowless, that’s even better. Carpet and windows help reduce reverberation in a room. When you’re producing music, it’s best to have as little noise as possible. Even the smallest gust of wind or squeaky floor can be picked up in a room with windows or wood floors. What are You Looking to do in the Studio? • Who are you making music for? Yourself? Friends, family, clients? • What type of music are you planning to make? 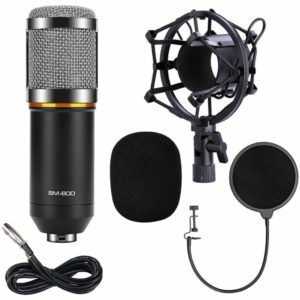 It’s important to make all these decisions before you start buying equipment and setting up your studio because you don’t want to waste any of your budget on things you don’t need. You also don’t want to turn people away because you don’t have the right equipment to record their songs appropriately. For example, if you’re thinking of producing hip-hop or rap music, you’ll probably want to buy a sampler. But, if you aren’t going to produce any of this type of music, you’ll probably never use a sampler so that it would be a waste of money. The same thoughts should be considered when picking a specific DAW for your studio. A professional studio is probably completely soundproof. In fact, the artists and producers probably don’t even sit in the same room and use headphones to communicate. While that’s ideal, it’s not practical for someone just starting out. But, that doesn’t mean you can’t soundproof a room in your home as best as possible. For instances, if you’re room has windows, close the blinds on the windows to decrease sounds from the outside. If outdoor sounds are being picked up by your microphone, use a thick blanket to block the window out. You can also buy huge area rugs to cover the floor of a home studio without carpet. After you’ve covered the floors and blocked the windows, you should be ready to go. But, if you think you’re still getting a bit of reverberation from the unpadded walls in your room, you can create your insulation with thick blankets. Gather a few thick blankets and hang them on the wall. Doing this will help you reproduce the same effects as soundproof padding in professional studios. An obvious piece of equipment but you’d be surprised how often this get only an after thought of attention. In reality you need quality cables that will last and you know are compatible with all your equipment. The DAW is a program or software that you utilize to organize, mix and remix your music into tracks. These are the programs like GarageBand or the bunch of others you’ve seen. We’ve included reviews of some of the most popular DAWs lower in the article. You’ll want to make sure that the DAW you get is something you can use (either intuitively or it comes with proper lessons to teach you). Most also come with a built in library of some music samples and virtual instruments. Be sure to check them out and make sure the quality is to your standard and the library is robust enough for your purposes. 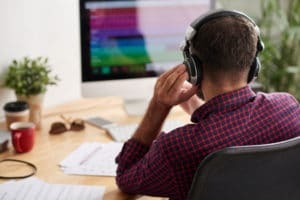 Check out our reviews of several of the most popular DAW programs below. First, make sure you understand buying on a budget doesn’t necessarily mean buying cheap stuff. Instead, we’re talking about buying quality programs for less. How do you do this? Easy. Look for programs that include everything or most of everything you need to get started at a great price. It’s a good idea to look for programs that will allow you to grow as an artist. What that means is a program that allows you to add upgrades and updates as you become better at producing. Whatever program or software you choose to go with, you must know how to use it. 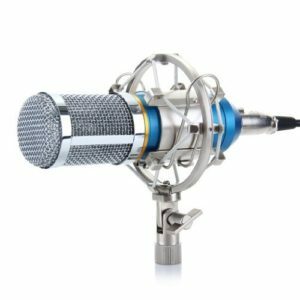 It should be understood, if you’re interested in music production, even someone that just does it as a hobby, you’ll need to know how to use the recording equipment. The truth of the matter is anyone can have fun playing around with stuff in a studio, but if you want to get good results, you’ll need to practice. Having a musical background helps a great deal, especially when you’re learning how to do this. When learning the basics, you should concentrate on how to use a soundboard. 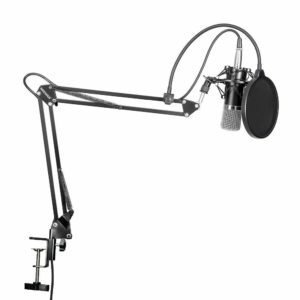 Next, get familiar with the ins and outs of all the basic equipment in your studio. Once you’ve got a grasp on those things, you’ll need to tackle how to transfer music to software. Today, we live in a technology renaissance. Technology is always changing. To be your best, you need to embrace this and always keep learning. One way to do this is to find out how to use as many music processing programs as possible. The more you know, the better your producing capabilities will be in the future. Producers have been using built in instruments and sound samples if music has been being created. If you’ve chosen a great software program, you’ll have access to create in instruments and sound samples right at your fingertips. Use the sounds built into the program to create tracks and record music. 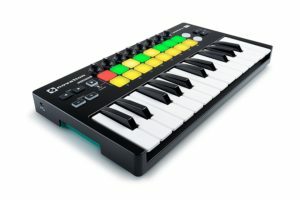 If you want to use real instruments in your music, consider a keyboard. Piano sounds can be manipulated in many different ways to add rhythm and bass to a song. 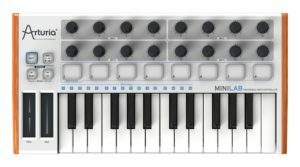 The software also lets you hook up digital keyboards, set up instruments to use in the future and open virtual instruments. The argument about how to mix music is as epic as the beef was between Biggie and Tupac. Some people rely on their musical sense and others have technical patterns and algorithms they follow. Everyone seems to have an opinion, but who knows who’s right? The argument is so intense that it isn’t even really worth discussing here. In fact, there isn’t a right or wrong answer. However, everyone can agree if you want to know how to mix music, you have to understand how elements of a song work together. If you can’t, you’re never going to be able to mix anything worth listening to. The great part about music production is there is no shortage of software to learn from. Additionally, much of the available software also has mixing lessons included. Whether you read about it or watch tutorials, you’ll be a better producer when you use a good program. 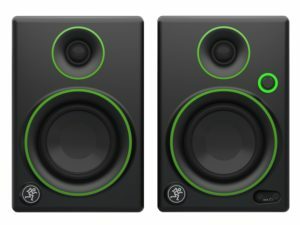 Below is a quick review of the best software with mixing lessons available. 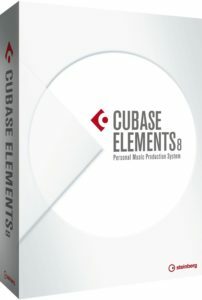 Cubase is the best program to start with, especially if you don’t have any musical background. It’s relatively inexpensive, intuitive, and doesn’t have much of a learning curve. It does have some limitations that aren’t a problem with more expensive software. 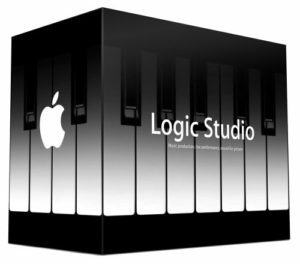 Logic Studio is a DAW. Producers familiar with GarageBand will like this software over any others. The program is only compatible with MACs and costs around $200. 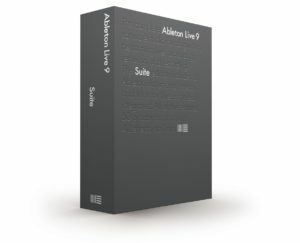 Ableton is one of the most expensive DAW software programs, but for a good reason. 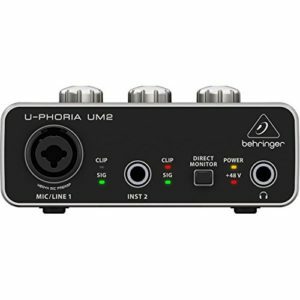 If you’re planning on producing live tracks, it’s your best choice. Artists such as Skrillex, Flume, and Deadmau5 have created records using this software. It’s compatible with MACs and Windows programs. 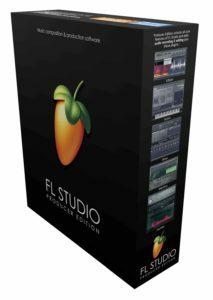 FL Studio is the software hip hop producers trust to make sick beats. The software only costs about $100 and is ideal for DIY artists. 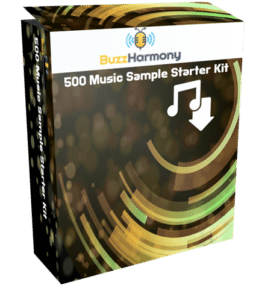 Hip hop artists such as Hit-Boy, Soulja Boy, Boi-Ida, and others use this software on a regular basis. In addition to hip-hop, FL Studio is also compatible with dance music and some pop. 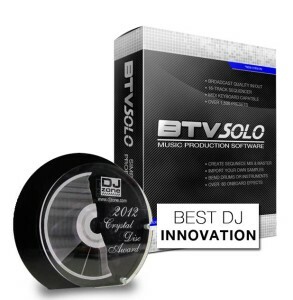 BTV Solo is a stand alone software by BKE and offers a great library of tracks built in. 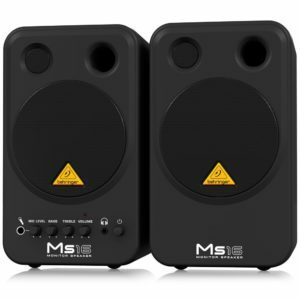 Used by artists like Teddy Riley, Jermaine Dupri, Drumma Boy, and Tricky Stewart. Read our full review here. How to Get Your Music Out There? In the 90s, you had to know somebody to get your music heard. Today, you have tons of options. The most important thing to remember is you constantly have to curate your music. If you don’t get it out there, it’s not going to get heard. Like most entrepreneurial projects, you should start with your family. Talk your family into singing on your tracks, sharing your music with others, and talking you up a bit. Next, upload your music to different sites. Some of the most popular include; Soundcloud, Bandcamp, and YouTube. But there are also sites like Songcast, which help you get your music up on itunes, spotify, pandora, and more! (check it out here) After you get your music loaded on these sites, go back to your friends and family and ask them to share. You can even go as far as asking your friends and family to ask their networks to share. Lastly, if you don’t have social media pages dedicated to your music, you’re missing out. You’ve probably shared your music on your personal page, but having a professional fan or business page is an even better idea. Use your social media accounts to grow your following. Offer updates, information, and promotions right to your fans from your pages. Lastly, volunteer your services somewhere. If your cousin’s daughters’ birthday party coming up? Would they love some cool hip hop? Offer to provide it. Volunteering services feel good and help you get your music out there. Congratulations! If you’ve made it to the end, you’re likely serious about becoming a music producer. Use the tips and information provided above to get you started. If you love music and are committed to getting the knowledge and practice you need to be successful; we’ll be hearing your jams on the radio soon.